Your friends from Sesame Street are throwing a celebration and the whole neighborhood is invited. 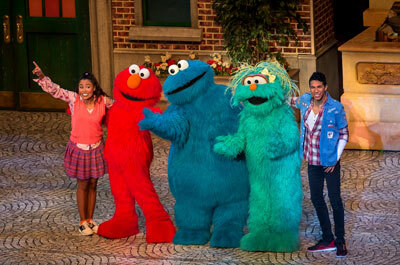 Join in the excitement, laughter and music of Sesame Street Live! C is for Celebration. Sing and dance along with Elmo. Marvel at Abby's magical moments. Shake it up with Cookie Monster. Be amazed as Super Grover flies. And move to the music with Rosita. Sesame Street Live! C is for Celebration is what friends, family and forever memories are all about!